Some of the future scenarios outlined above (e.g. responses to rising sea temperature and ocean acidity) are predicated on the assumption that genetic change within populations of organisms does not occur rapidly enough to keep up with climate change. In terms of reef-building corals, thermal thresholds have been relatively stable over several decades and have not shown any tendency to drift upwards. The very fact that bleaching and mortality are increasing is circumstantial evidence that the threshold of corals for stress is not changing rapidly enough to neutralise the effects of increasing stress from the Earth's rapidly warming seas. Several authors have challenged the use of fixed thresholds for coral reefs, suggesting that the thermal tolerance of corals and their symbionts may evolve rapidly. Some authors have even proposed that 'reef corals bleach to survive [climate] change'. These arguments, if true, would have major impacts on how coral reefs will respond to rapid shifts in the Earth's climate. If the thermal tolerance of corals and their symbionts could keep pace with the rate of climate change, then ultimately the current frequency and intensity of coral bleaching and mortality events would remain constant. The evidence to support these hypotheses is extremely weak (see Additional reading). Most evidence points to the evolutionary capacity of corals falling behind current and future rates of climate change. The fact that the rates of change over the past 100 years are at least 100 fold higher than the rapid shifts seen when the earth moved from ice ages to the warm interglacial periods is sobering in terms of any discussion about adaptation. Terrestrial populations are changing rapidly in response to climate change, with birds and butterfly populations experiencing extinction at lower latitudes, and establishment at higher latitudes where habitat is available. Similar trends, though less well documented, are occurring in the ocean. Fish normally found at lower, more tropical latitudes are starting to appear on reefs at higher latitudes. 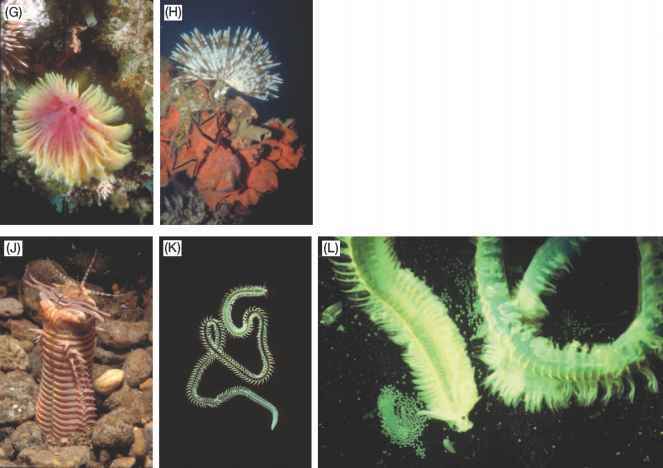 Responses by marine populations depend very much on the organisms involved. Reef-building by corals is limited by other factors in addition to temperature (e.g. light, concentration of carbonate ions; see Chapter 8) and hence increases in sea temperatures due to the global warming will not result in the appearance of carbonate coral reefs at higher latitudes. A central requirement for any adaptive response to have a major impact is the stabilisation of the concentrations of greenhouse gases such as carbon dioxide and hence, of global temperature. Continuation of mid-to high-range emissions will perturb the climate for hundreds if not thousands of years, with major implications for how populations of corals and other coral reef organisms do or do not respond. For example, if the world's international agreements were to stabilise global temperatures at 2°C above present day conditions (i.e. low emission scenarios), coral populations would initially decrease as unfit genotypes disappeared from particular regions, and then would increase as fitter genotypes proliferated to establish populations under the new stable global temperature. Thermally tolerant equatorial genotypes may migrate to higher latitudes over time (probably over decades), as they track their preferred warm temperature regime. However, if greenhouse gases like CO2 do not stabilise, there is likely be a regime of heatwaves at high latitudes too severe for even the most heat tolerant genotypes to establish. Constantly changing conditions of such a non-stabilised climate would drive corals (and the reef ecosystems) into low population densities with the prospect of massive extinction rates for corals and the thousands of coral framework-dependent species.